Where is the line between adaptation and product integration, and does anybody still care? If you make a movie based on a toy where the logo for said toy is literally stamped on every piece composing every object and character in the movie (albeit mostly in imperceptibly small type), is there a point where the relative quality of the story or the jokes can't surpass that sickening feeling of being sold, or is this sort of thing so ubiquitous that it doesn't even make us sick anymore? I only ask the question because its beginning to bother me how much its not actually bothering me that a movie like The Lego Movie exists. Ten years ago, it would never have occurred to me to treat a 90 minute commercial as a movie and judge it solely on its merits, but now it barely occurs to me to do otherwise. I'm not sure if that means the movie really is that good, or if it just means we've all been brainwashed by the man. 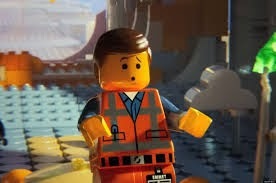 Sorry, that was a bit of a screed I know, but there's just something a little icky about this whole thing, and I still can't tell if its to the film's credit or detriment that The Lego Movie goes so far to conceal the fact that its main purpose is to make you really want to play with Legos, or more importantly, to make the closest kid in your life really excited about making you buy them more Legos. The re-constructable brick world mechanic is too central to the concept to treat it as any other movie so as to determine if it would work sans product placement, but the time and effort that went into the script and making these wacky cartoon toys relatable and entertaining is just as undeniable as the crass corporate synergy of a brand name toy being the premise of a film. Something like, say, Wreck It Ralph, could work using pastiche even if you took out all the explicit videogame references, but there's something a little more nefarious with something like this, where you can't make that sort of separation. 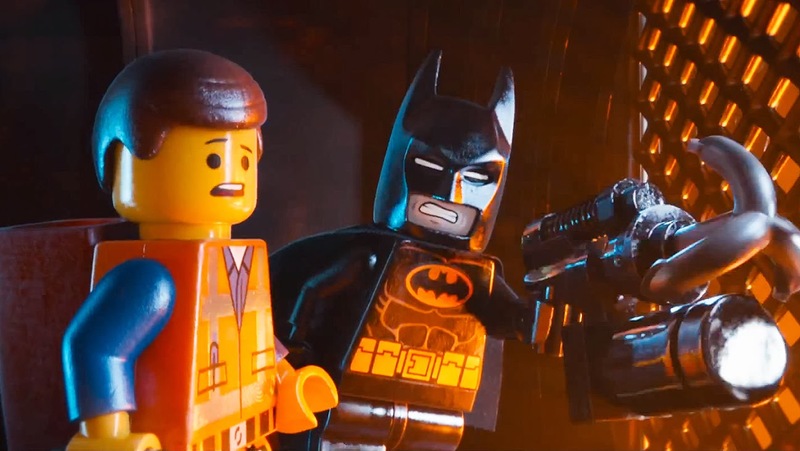 What is almost certainly to the film's credit is the way in which the concept of Legos is used to tell a story that almost feels just as critical of its toy line inspiration as it is a tribute to it. While by the end the love of all things Lego is smashed into the audiences' face with the subtly of a sledgehammer, the central storyline feels like a sly tweak of Lego's current business model, or at least a call back to a bygone age before the idea of Legos strayed from raw creativity in favor of a more streamlined, design dependent product. Anyone who walks into a toy store today having grown up with old school Legos would find the newer pre-made "play set kits" unrecognizable and insulting, and this movie examines this disconnect from the perspective of defending that lost art of just making whatever you want, instructions be damned, which is so contrary to what Lego is now that I can't help but give them props for letting this pass with their brand name attached to it. 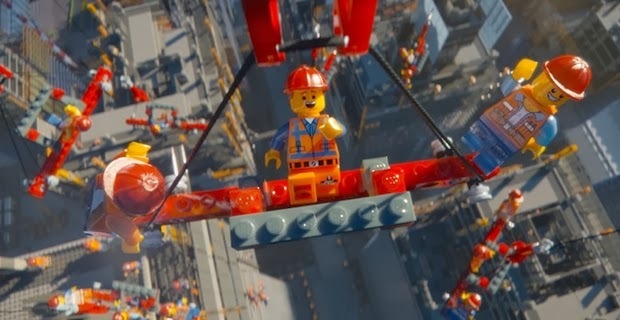 And that's only one layer of weird but thoroughly satisfying meta-commentary at play in The Lego Movie, which goes beyond testing the limits of a well-constructed toy tie in movie to deconstructing the nature of fantasy kids movies themselves. The writers of Cloudy With A Chance of Meatballs put their talent for manic absurdity to good use as they explore just how a Lego society would function both physically and philosophically, but that absurdity is channeled in a very specific way that informs just what it is to be a Lego person in a Lego World via a late third act twist expanding the universe and exploring what it means to imagine an entire world to life. Without spoiling too much, If the tone of the comedy feels a bit strange at first, maybe too scatter shot and frenetic, know that its that way for a reason, and it pays off in a way that you'll be kicking yourself for not guessing sooner. 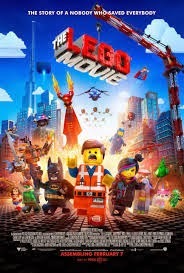 As much as the purest in me wants to rail against it, The Lego Movie is just too damn well made to pass up for the sake of independence from corporate approved entertainment. Its as sure to please as it is to sell a whole new generation on Lego play sets, all with neat little booklets telling them how to make the thing their supposed to make so it will look like the Lego version of the thing from the movie its taken from. That the message of this movie is just how wrong this is will be lost on most kids, but that's not the movie's fault, and if only because the only alternative for kid friendly cinema right now is Frozen, which you should have already seen, and The Nut Job, which you should never see, its hard to say no to Lego. But when your kid asks you to buy them a set, and they will, maybe go to a thrift store or Ebay and get a grab bag, and see what they come up with on their own. Who knows, maybe they'll end up writing the sequel.